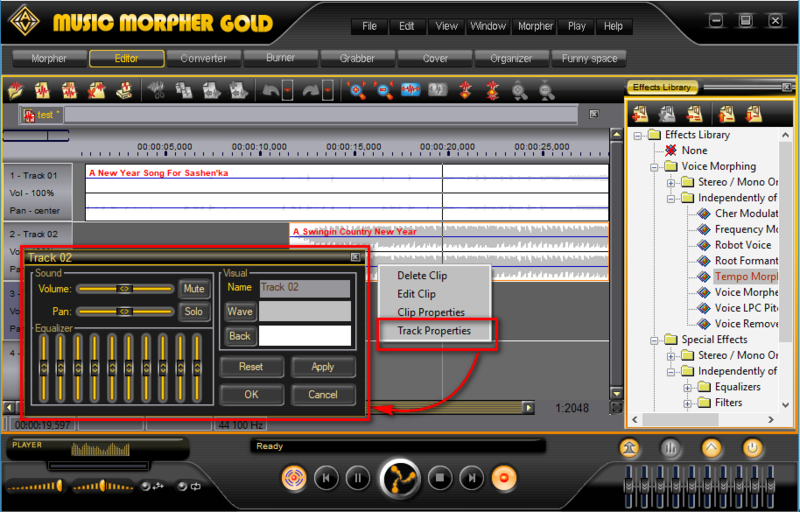 Music Morpher Gold is a powerful music software that can help you do all the DJ tasks effortlessly with a virtual DJ, and turn your PC into a home recording studio with all essential audio editing tools including Converter, Editor, our famous patented Voice Remover, and Voice Extractor. Besides the built-in library of professional effects, you can also explore our Add-on store for more free background effects in MP3 format then add them to your audio mixing projects. - Click on New Multitrack Session button to open a new workplace. - The new dialog box Multiple Session Sample Rate will appear. You can select the desired sample rate or just leave it as default 44100 if you are not sure which to choose. - Choose your main audio file and Open. 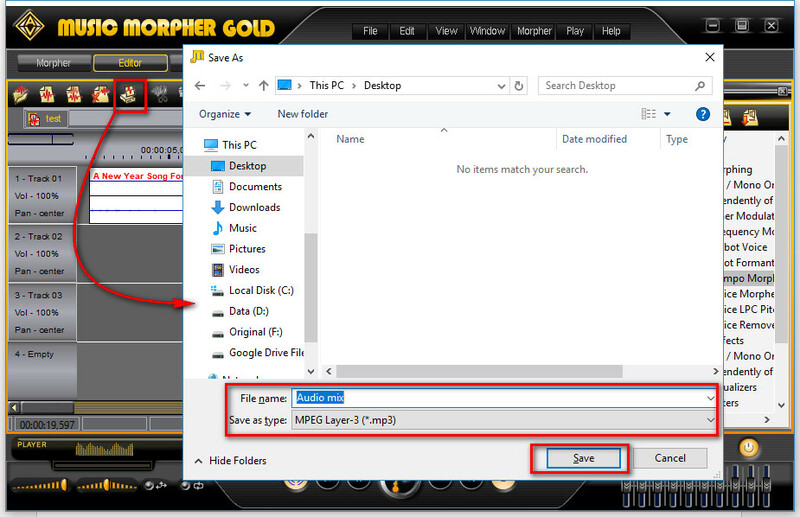 - To add background effects, right click on a track and do the same as your main audio file. The location where you right-click will be the beginning of the track. 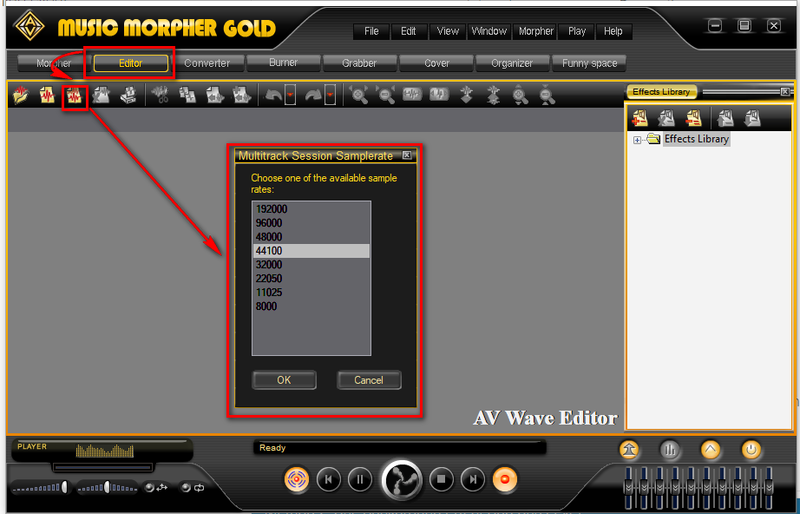 Therefore, you can choose the time where each different audio file starts. 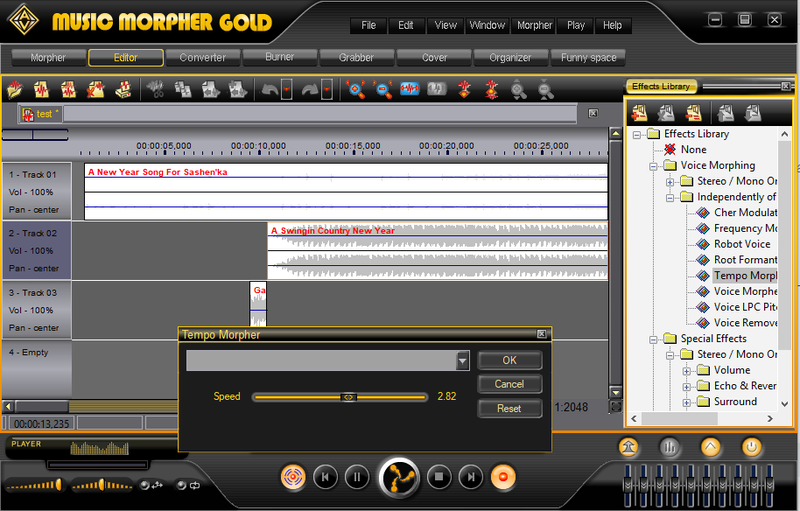 To mix your audio to be more awesome and unique, we can make use of the built-in library of effects right within Music Morpher Gold. - Select an effect via the Effects Library box. Each effect will have its own settings dialog box. - Right-click on a track. » In the new dialog box, there will be more options to adjust such as Volume, Pan, Equalizer to choose and further improve your audio. - Click on Save File button. - In the new dialog box, select the location you want to save. 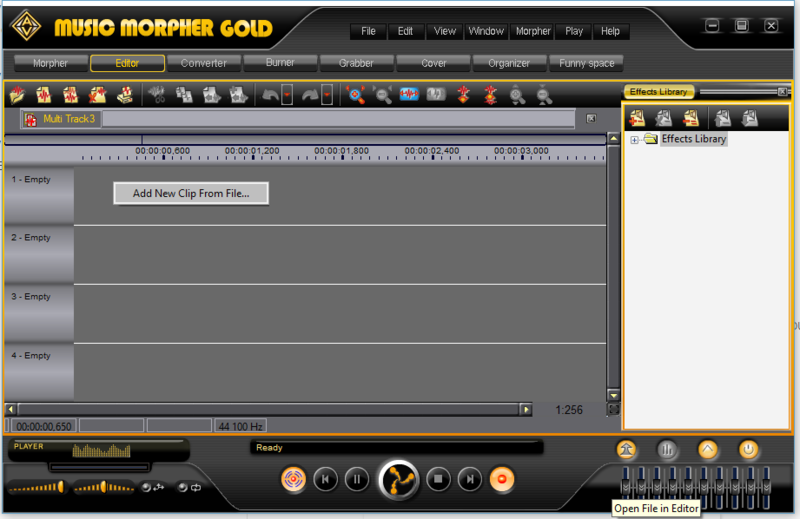 The MTX format is the format used by Music Morpher Gold. You will be able to adjust or retouch the audio mix later if you need.